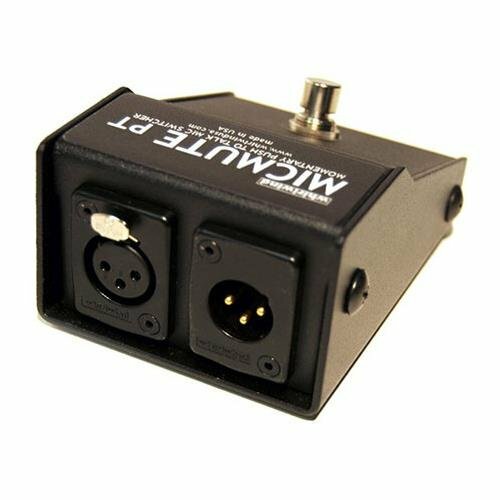 The Whirlwind Micmute PT Push-to-Talk Pedal Design Switch is configured as Push to Talk switches, meaning that the input signal is normally not connected to the output; nothing is passing through the box. When the switch is depressed and held down, the signal is turned on and passed through to the output. The signal is disconnected as soon as the switch is released.